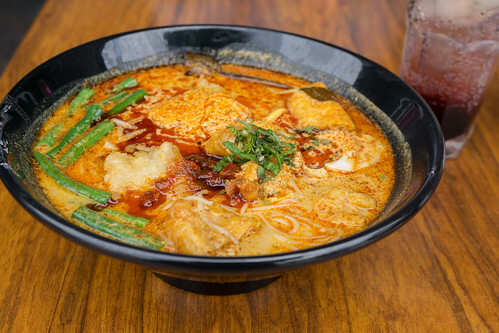 Laksa Town is one of the newer Malaysian eateries in Glen Waverley. 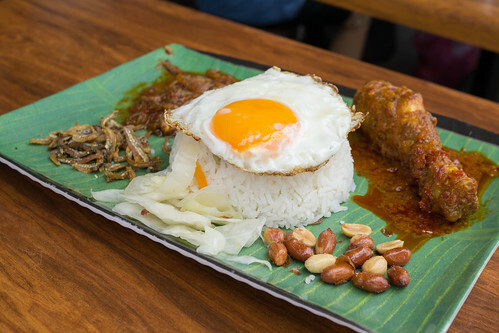 Located on the popular Kingsway, it offers a variety of Laksa options, as well as Nasi Lemak, and serves Claypot dishes and Bak Kut Teh as well with a selection of classic Malaysian drinks like Teh Tarik and Cendol. 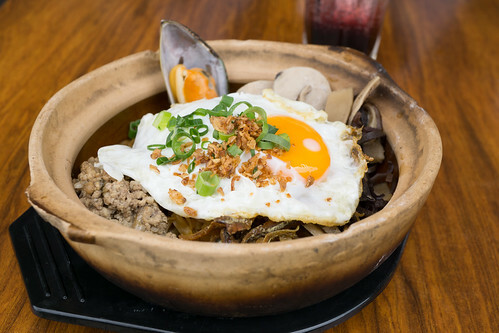 Their Claypot Mee Pok which reminds me of a dry Pan Mee with the crispy anchovies, mushrooms, and mince meat with flat noodles. It’s actually quite nice and I’d definitely go for it on a hot day instead of the soupy Pan Mee. Their Laksa has a more spice infused broth and not as creamy or rich as you’d find in Laksa King or Chef Lagenda, or even Yong Tofu in Glen Waverley for that matter. It’s not bad by any means, and I think it just comes down to preference. Laksa Town’s Nasi Lemak with Curry Chicken had a nice flavour to the curry sauce. A tad spicy but lacked the punch from the sambal that is needed for the Nasi Lemak. The fried egg though is a nice touch. Their drinks menu has the typical 3 Layers, Milo Dinosaur and Teh Tarik. 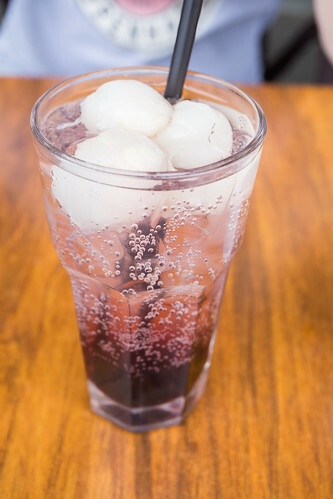 On this occasion, we tried their Ribena Lychee Sparkling and the Cendol Special. The Ribena drink was something I haven’t had since I was a kid, but with sparking water and lychees which had a lovely fruitiness to it. The Cendol was quite nice actually, the Cendol jellies were soft still and had the nice gula melaka syrup flavour. 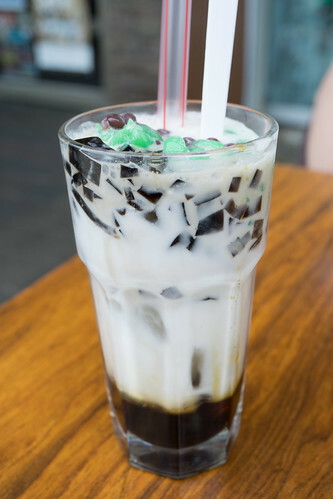 The addition of red beans and grass jelly was nice too. Laksa Town does distinguish itself with its extensive variety of claypot dishes but nothing we tried was amazing and I do prefer O’Town in Glen Waverley for good Malaysian food. However, I recommend giving it a try. When people talk about Ma Brown in Balwyn, you mostly hear about the delicious quail. It’s a very popular choice, but also one that they advise to order at least a day in advance of your booking. 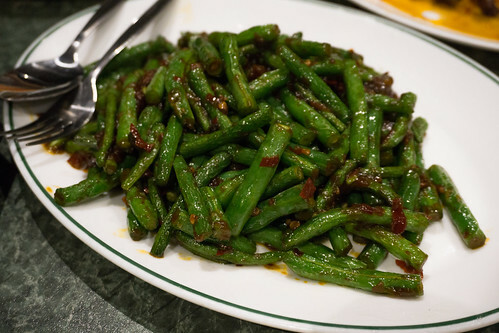 Ma Brown serve Chinese, Malaysian cuisine and even on a busy night, service isn’t actually too shabby. You can order the quail either Spicy or just with Salt & Pepper, however, they do advise the spicy one is the more popular selection. 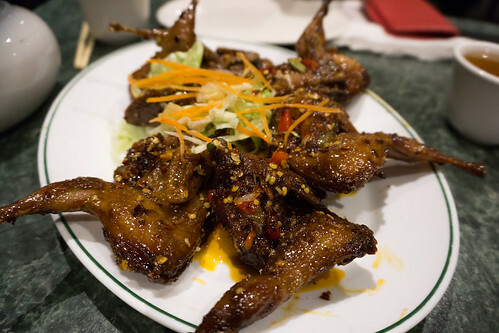 The quail here is fantastic, it has that nice crispy exterior but tender and lovely sweet and spiciness from the marinate. I could probably just order this alone, if I was feeling a bit devious, it’s that good. That’s not to say Ma Brown’s other dishes aren’t good. 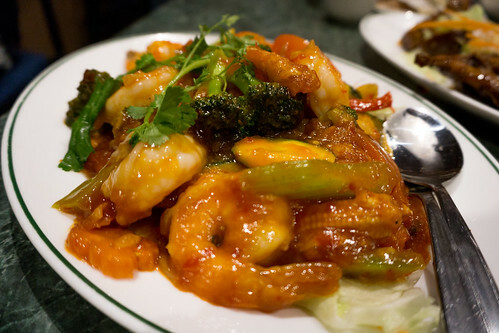 Surprisingly, the Sweet & Sour Prawns was also a winner. Lovely subtle tomato flavour with chilli and the prawns were nicely cooked as well. 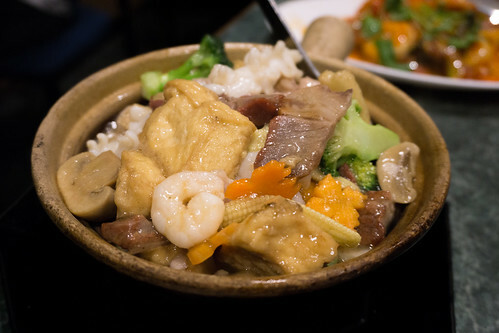 The Tofu & Mix Vegetable Claypot is more of your standard affair, yet still makes for a nice cleanser against the quail and prawns. The Sambal Beans was probably my least liked dish, the sambal was quite overpowering and overly sweet and definitely cooked with too much oil. You may come here for the quail at Ma Brown, but you’ll leave satisfied with many of their other dishes. Not the best ambiance but it’s the food that counts here and won’t make a huge whole in your wallet.